A court will hold an open session in his case on 15 May. 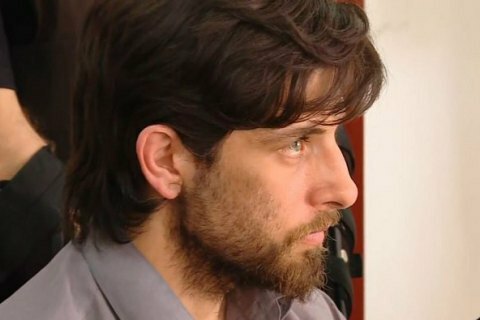 Ukraine's Pavlohrad city district court arrested Brazilian Rafael Lusvarghi for 60 days without bail. He is suspected of participation in illegal paramilitary groups and a terrorist organization, according to Radio Liberty/Radio Free Europe. Under the 7 May court ruling, he will remain in custody until 5 July. The judge said the decision was taken due to the risk of the suspect evading justice and the gravity of crimes he is being suspected of. The court will hold an open session in the case on 15 May. In late April, some media reported that Lusvarghi lived in a Kyiv monastery of the Ukrainian Orthodox Church of the Moscow Patriarchate. On 4 May, nationalist group members detained Lusvarghi and handed him over to the Security Service of Ukraine (SBU). The SBU promised to check what he had been doing in Kyiv. In October 2016, the SBU detained Lusvarghi as he was crossing the state border in Terminal D of Boryspil International Airport.